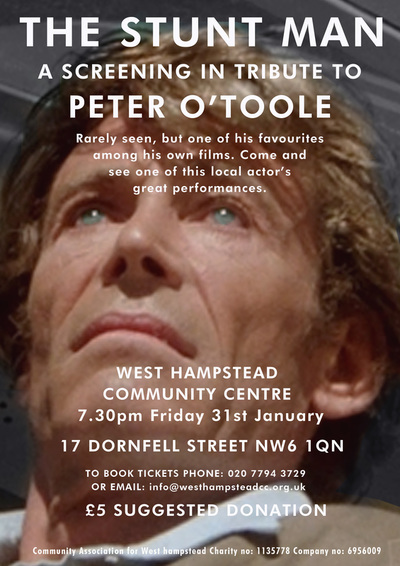 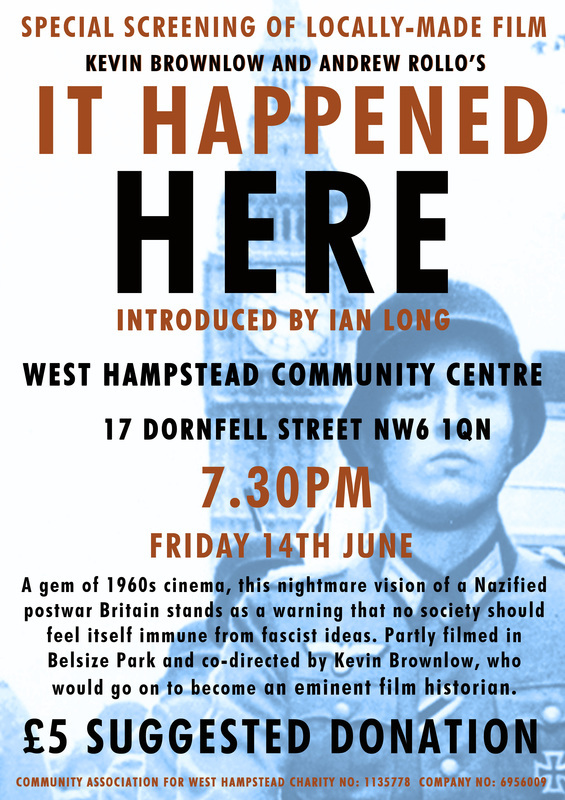 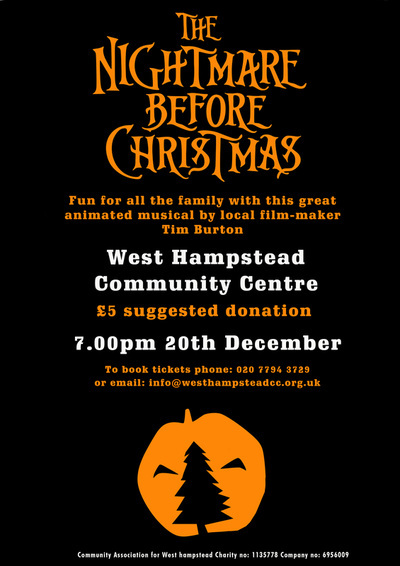 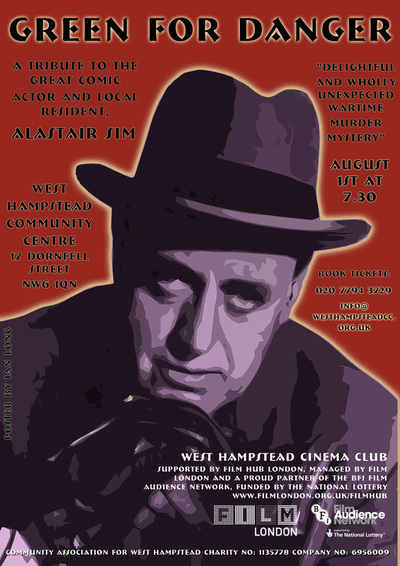 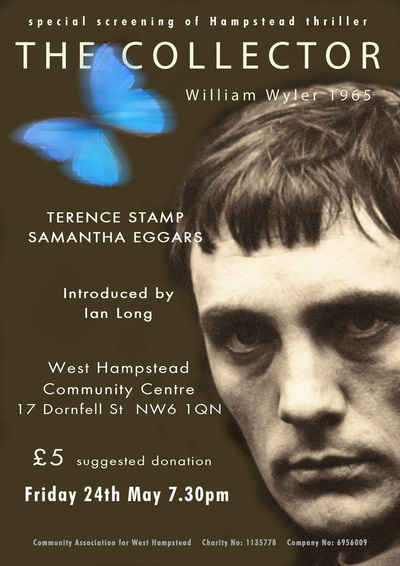 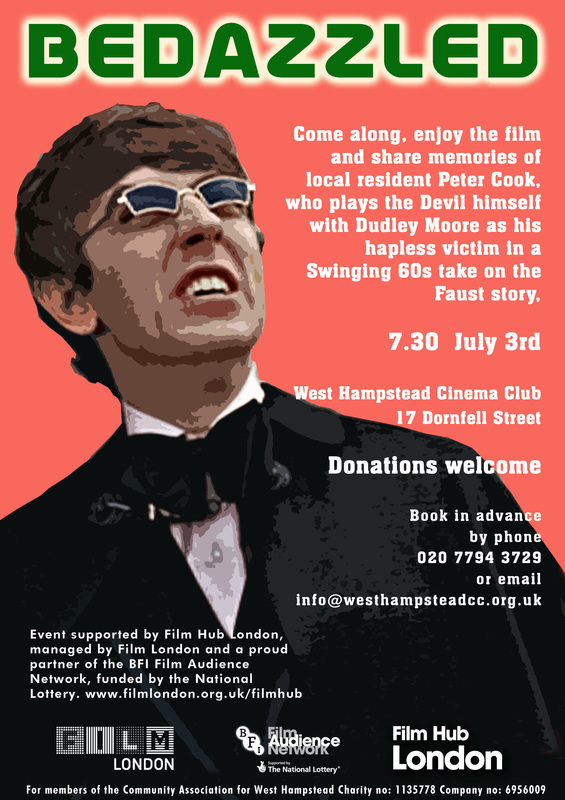 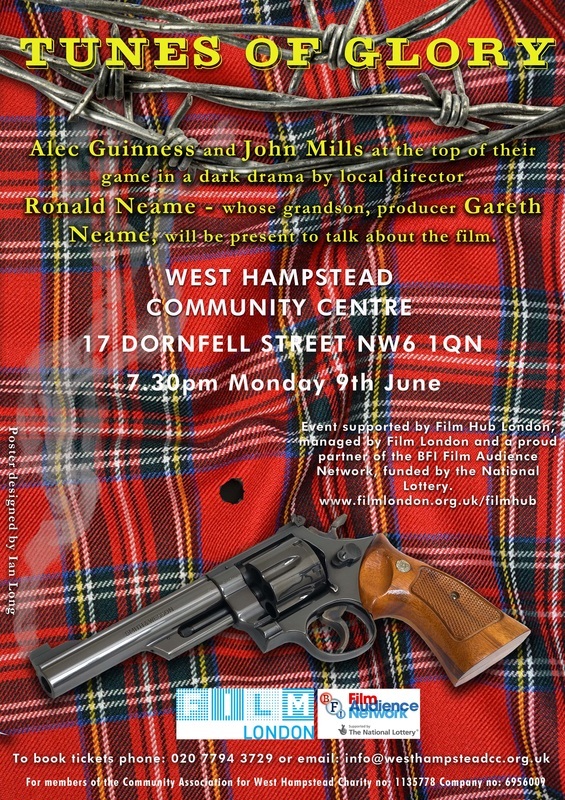 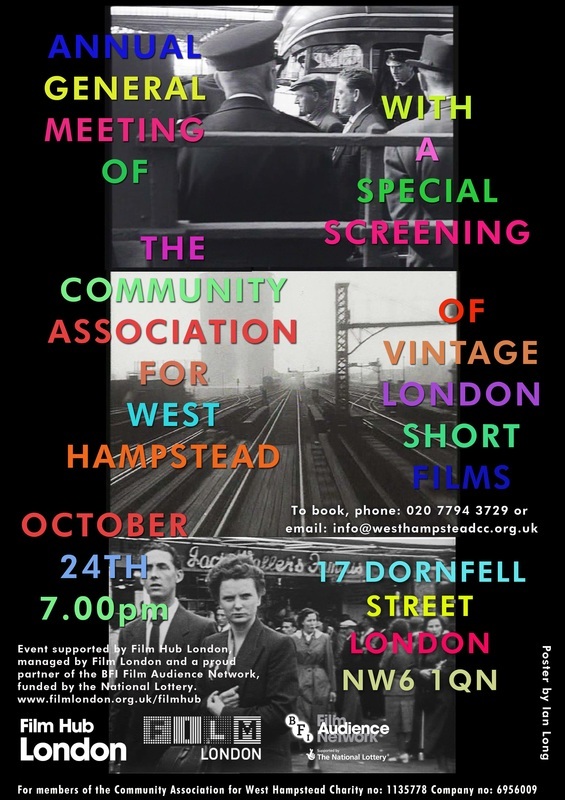 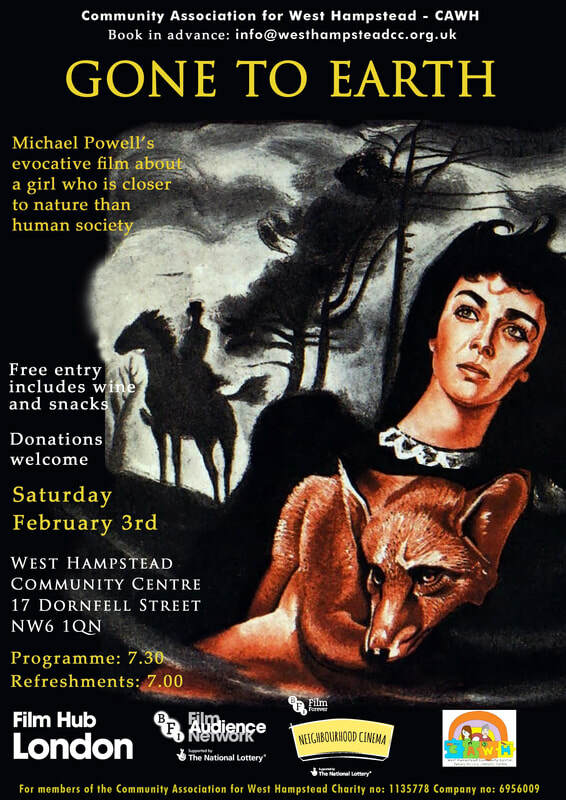 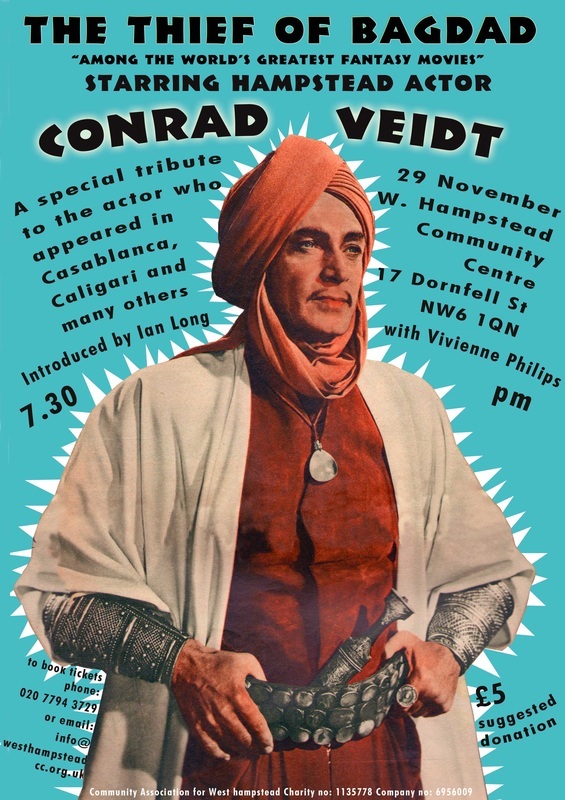 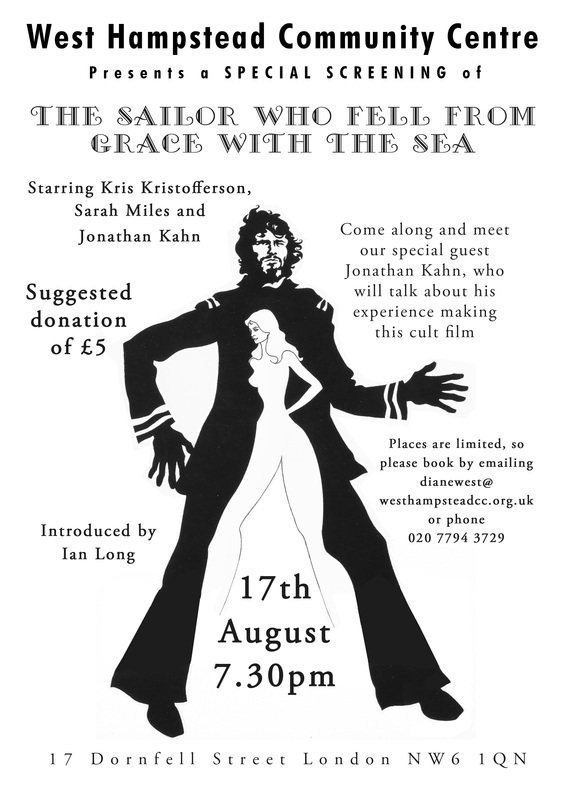 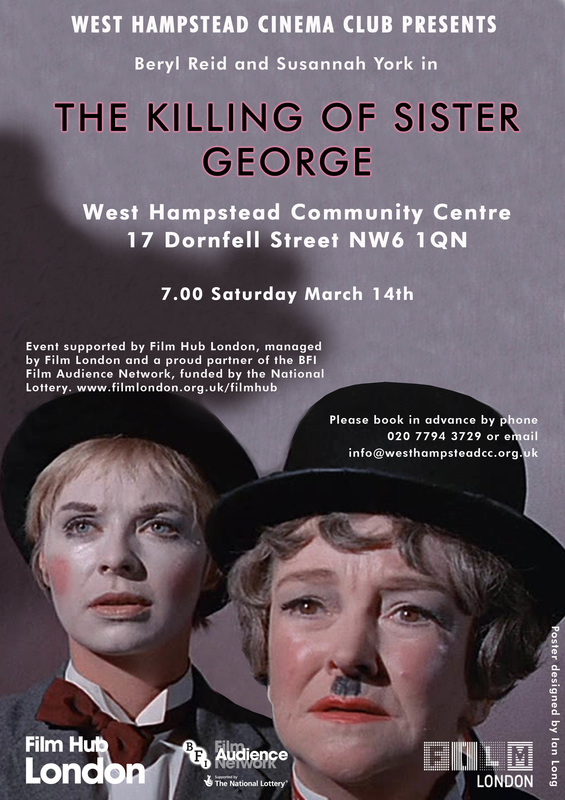 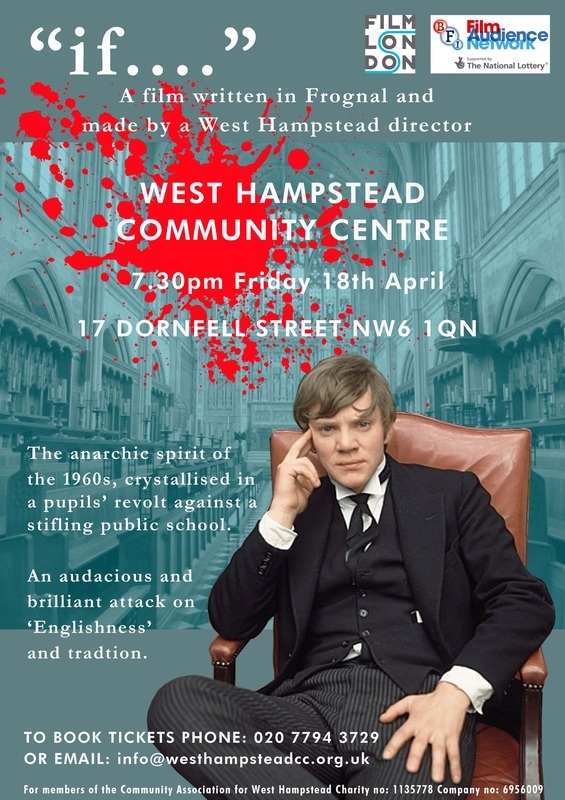 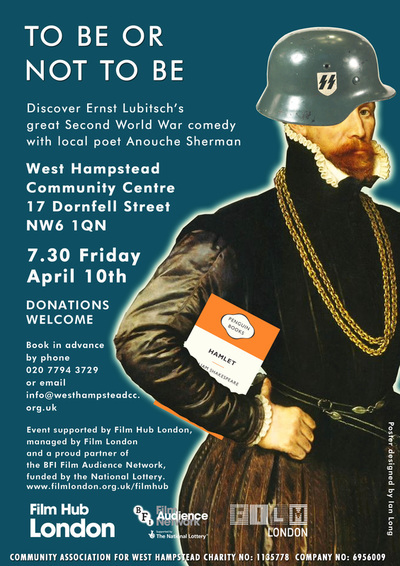 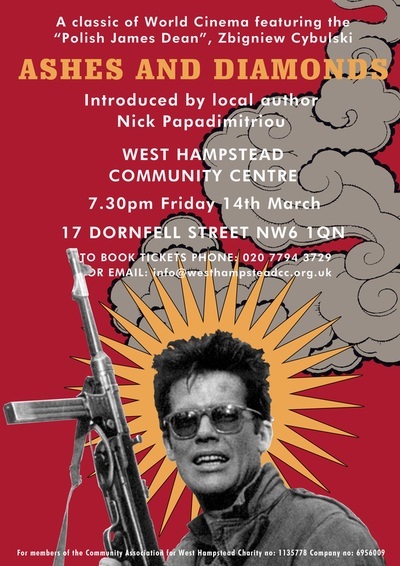 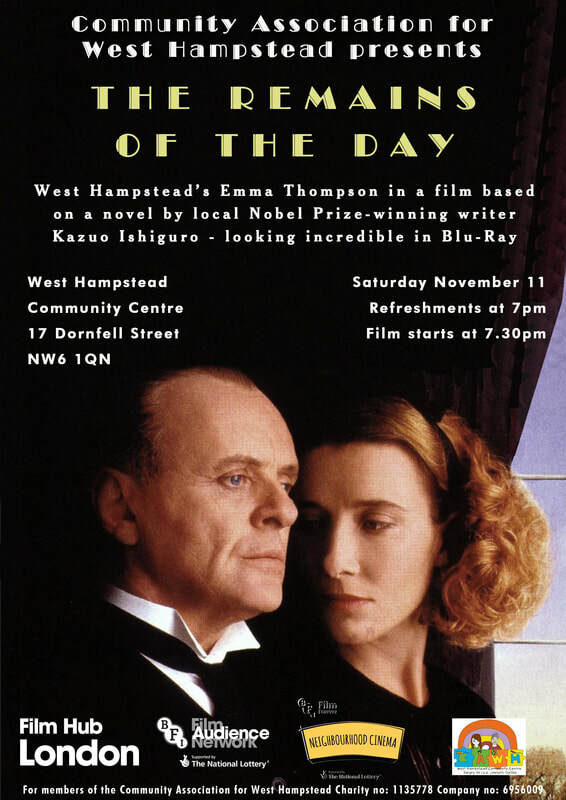 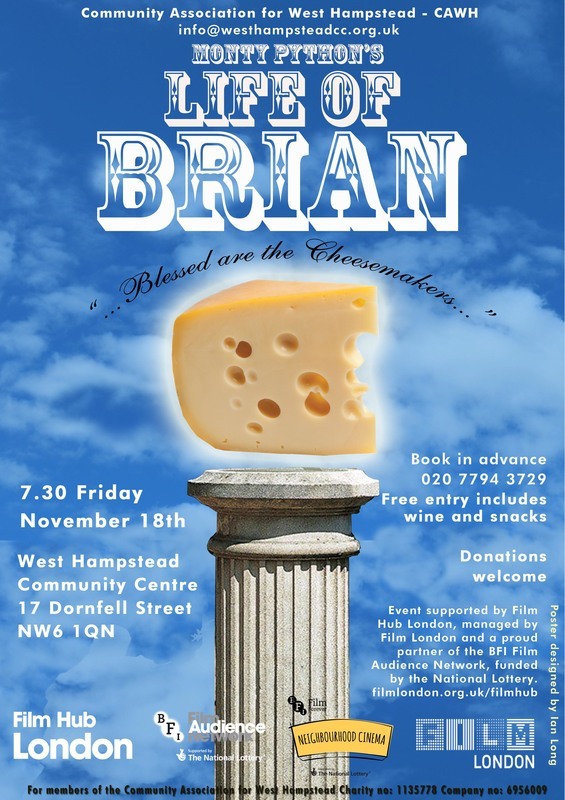 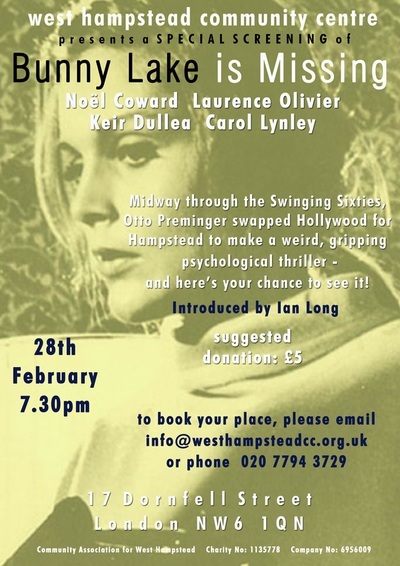 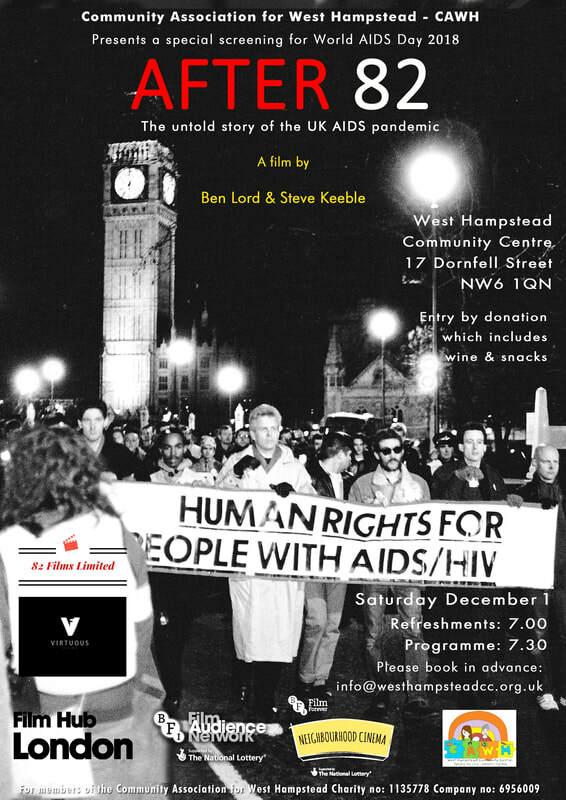 I designed these posters for the film screenings I organise at West Hampstead Cinema Club. Many of the films we show have some local connection - they're shot in the area, or involve people who live (or lived) there - but we want to show interesting films of all kinds, especially ones you may not easily see elsewhere, and to enjoy watching them in a social setting. We often find someone connected to the films to talk about them, and, courtesy of the BFI and local supporter Robert Ostrin, we have high-quality blu-ray equipment, so our screenings look really good . 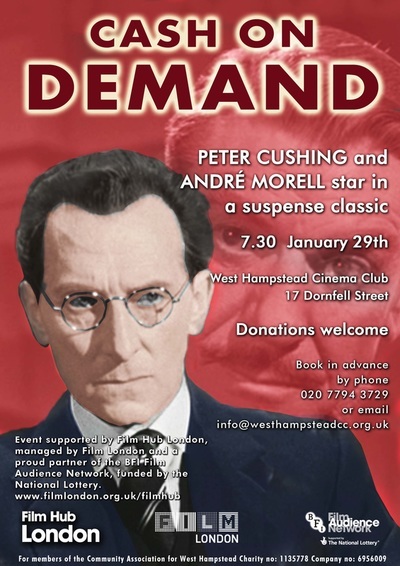 Here's a link to an article about the Cinema Club. Please contact us if you have any ideas for screenings, or would like to present a film yourself! 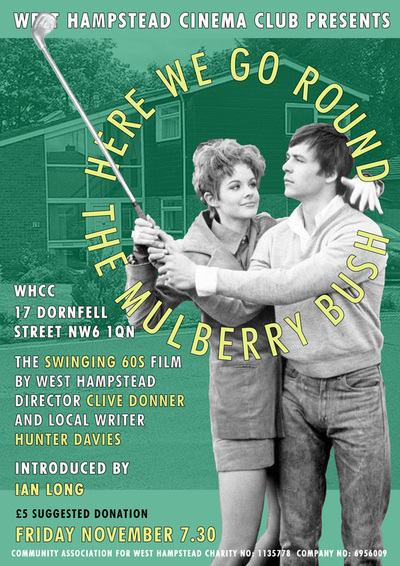 The now-classic comedy-horror film, partly shot on location around Hampstead. 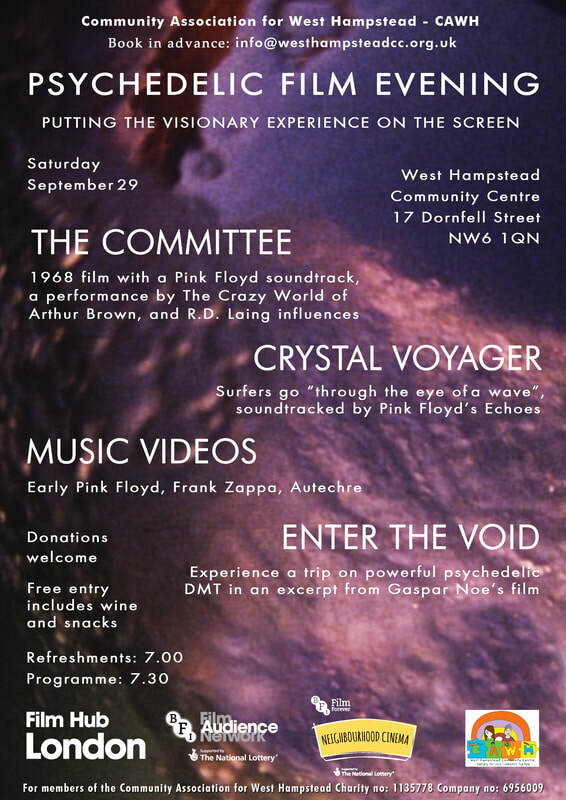 An evening looking at how filmmakers have tried to evoke psychedelic experiences, using editing, claymation, CGI, music combined with verite footage, psychologically destabilising narrative methods, etc.. 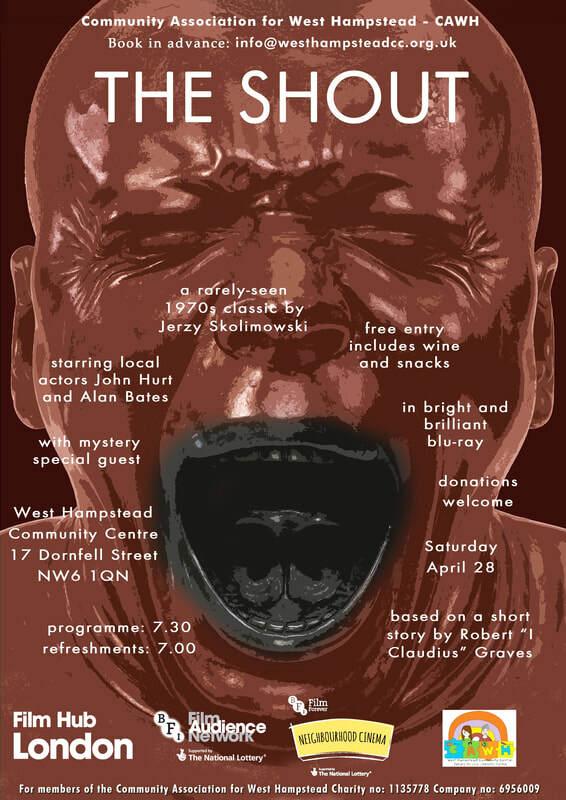 THE SHOUT is a classic of 1970s British weirdness in which a maniacal Alan Bates crashes into the lives of married couple John Hurt and Susannah York, intimidating them with his threatening personality and the ability to shout people to death, which he learned while living for 18 years with Australian aborigines. 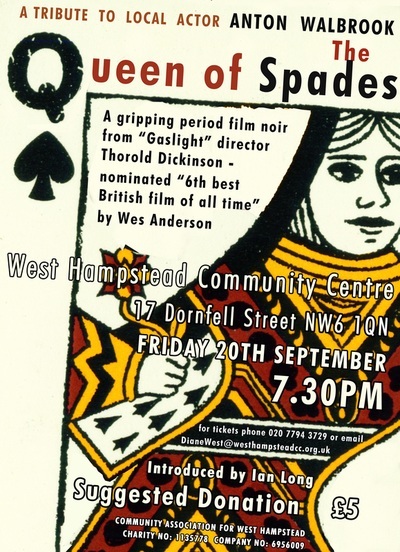 Bernard Canavan, who designed the film's original poster, came along to tell us about life as a designer of cinema posters in the 60s and 70s, dealing with people like Michael Winner, and contributing drawings to counterculture magazines like Oz, Frendz and International Times. 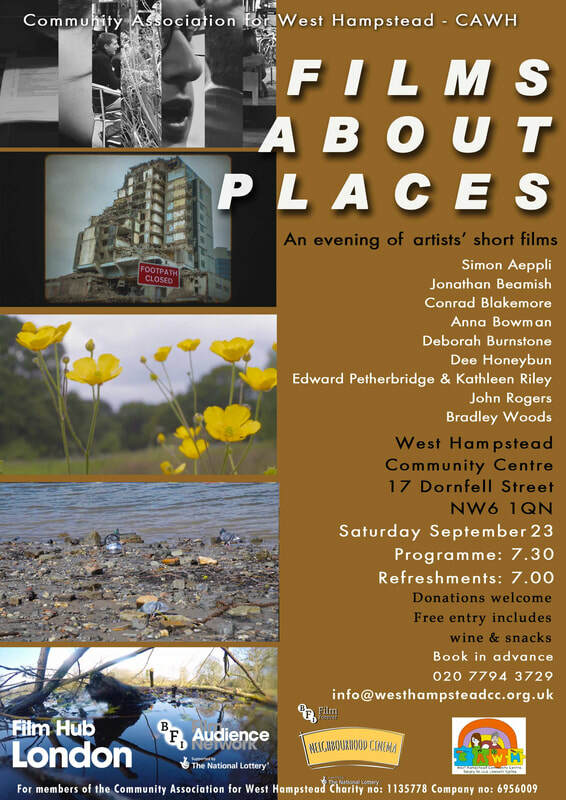 Our 'films about places' evening was a showcase for nine artists' short films aimed at putting the viewer into a specific landscape or location, using a wide variety of methods. 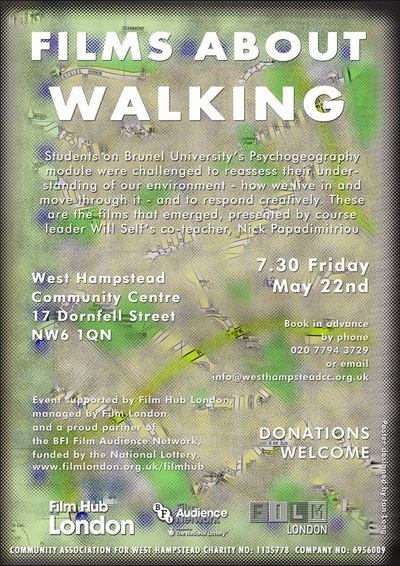 Many of the filmmakers came along to introduce and discuss their work. 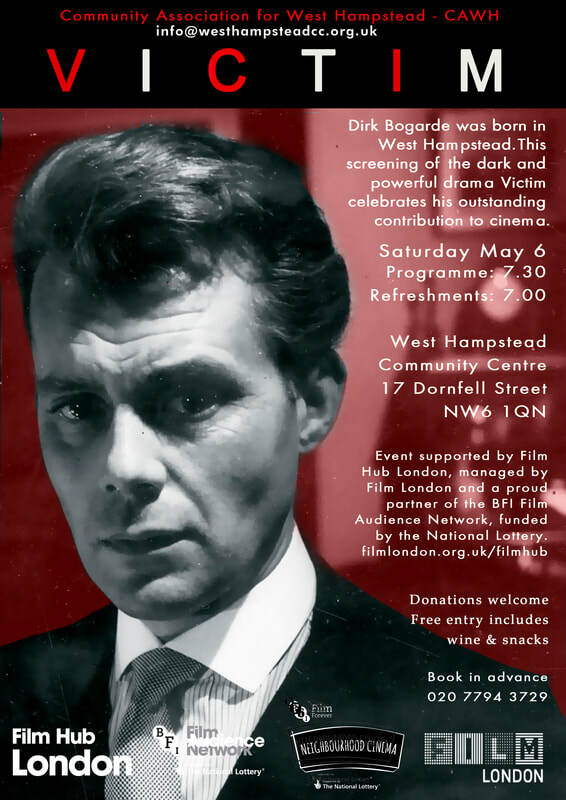 We recently found out that Dirk Bogarde was born about 10 minutes' walk from the cinema club, which opened up all kinds of possibilities for screenings. Terry Jones, Terry Gilliam and Michael Palin all live relatively locally, which was a good excuse, if any were needed, to show Monty Python's brilliant satire on gullibility. 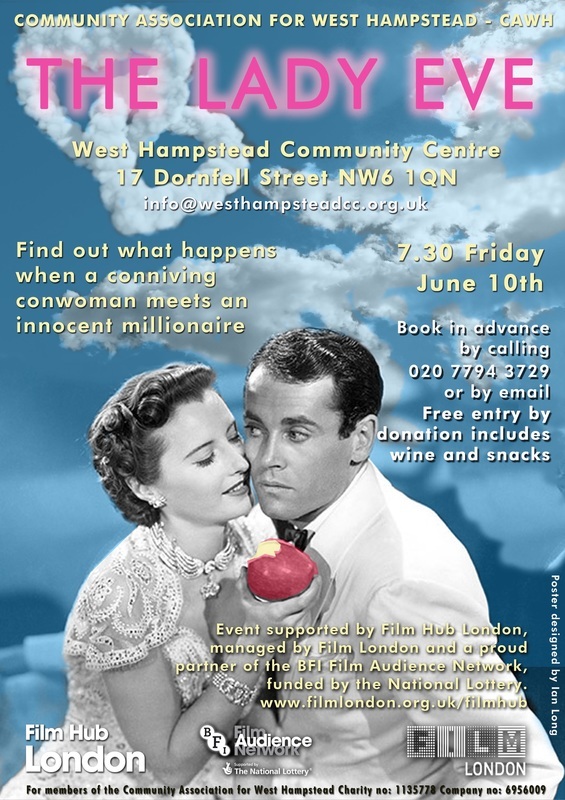 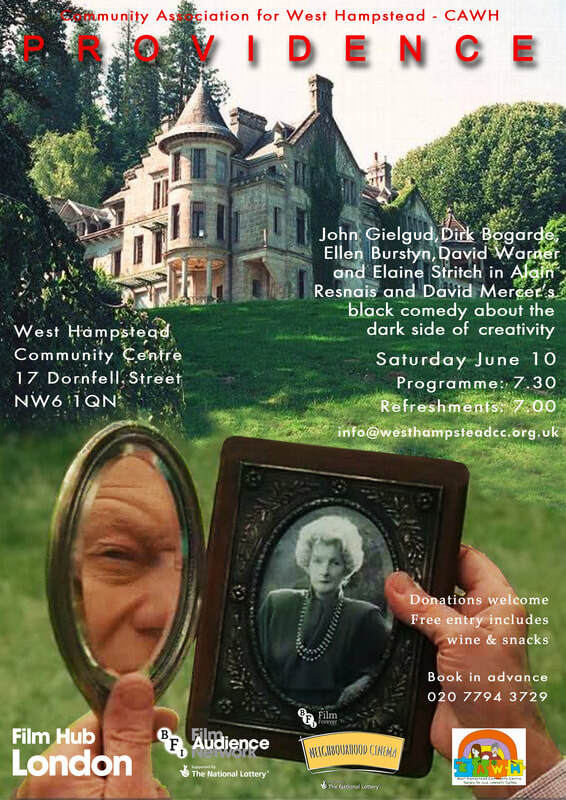 We showed THE LADY EVE as a small tribute to Miriam Mansour, the Administrator at West Hampstead Community Centre where the club is based, and a great helper and supporter of our screenings. This screening was a tribute to Karel Reisz and Sir Nicholas Winton, the "British Schindler" reponsible for saving him and many others from Nazi-occupied Czechoslovakia. 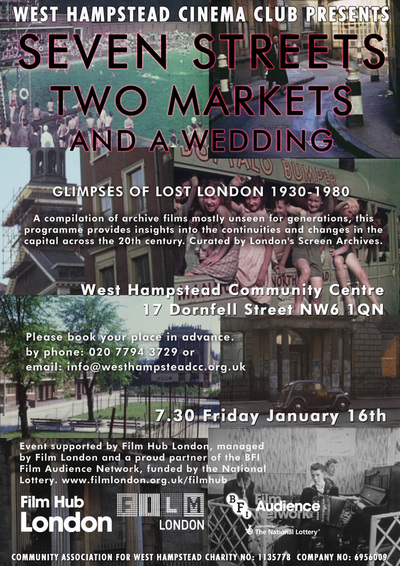 Both men lived locally. 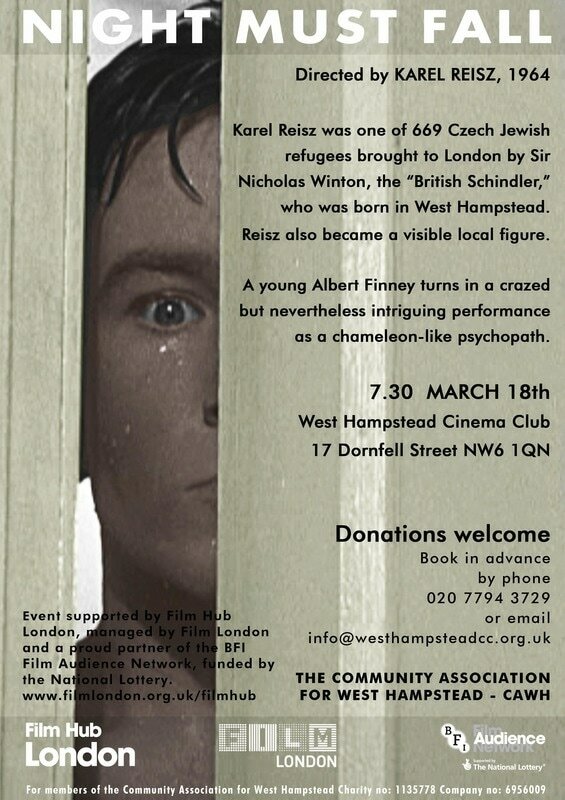 Matthew Reisz, one of Karel's sons, attended and gave us some fascinating background information about his father. 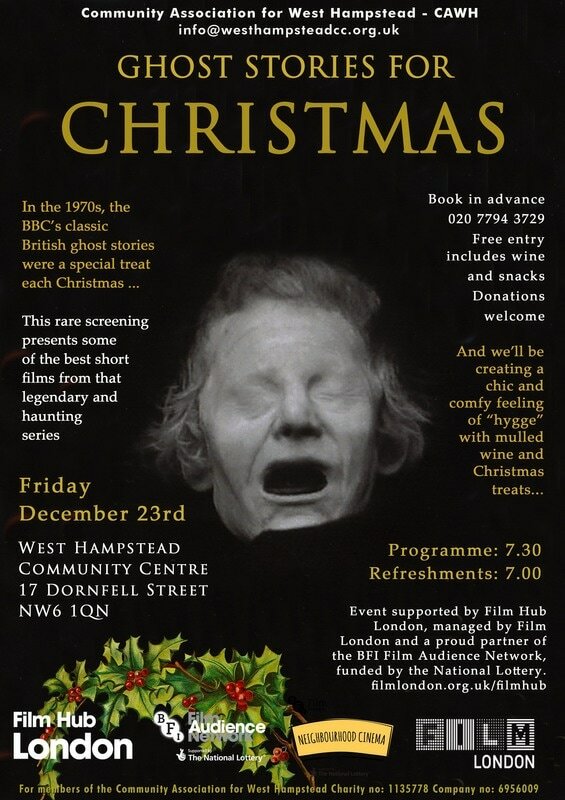 We celebrated Christmas 2016 with a selection of traditionally creepy short films, based on stories by M. R. James and Charles Dickens. 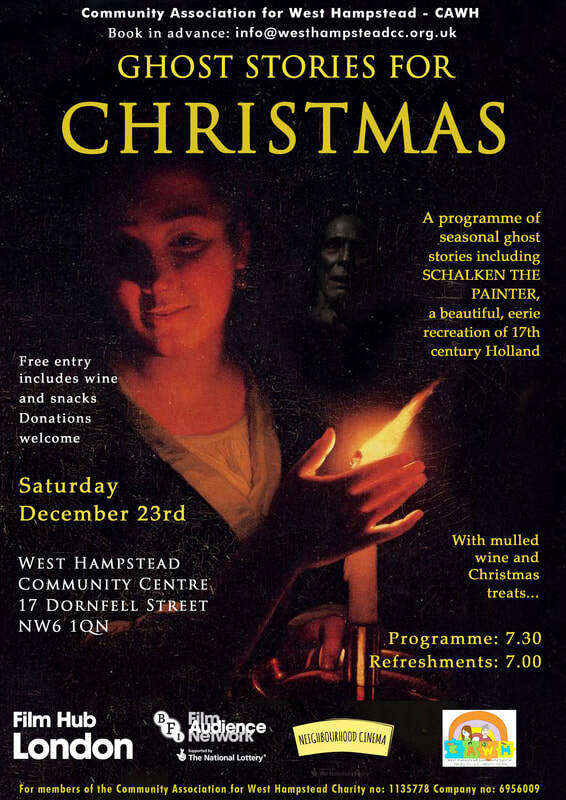 Stand by for another programme of ghostly stories this coming Christmas! 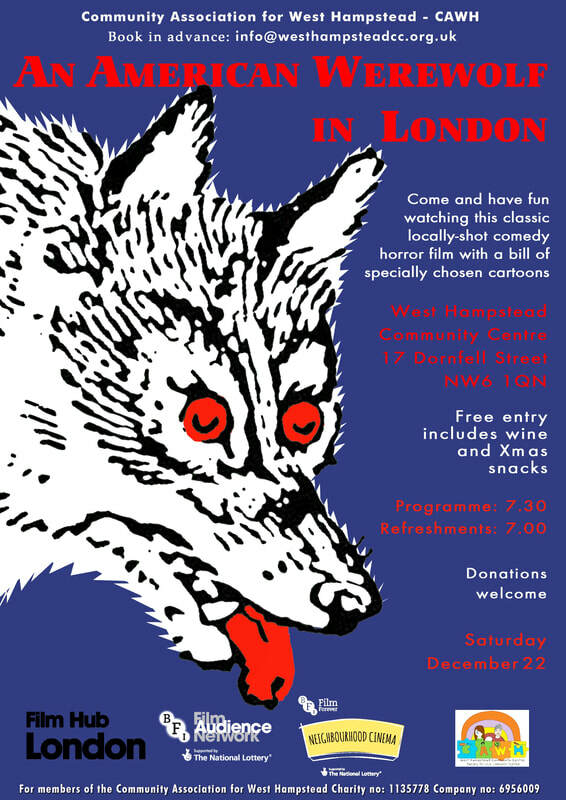 We have some chillers up our sleeve. 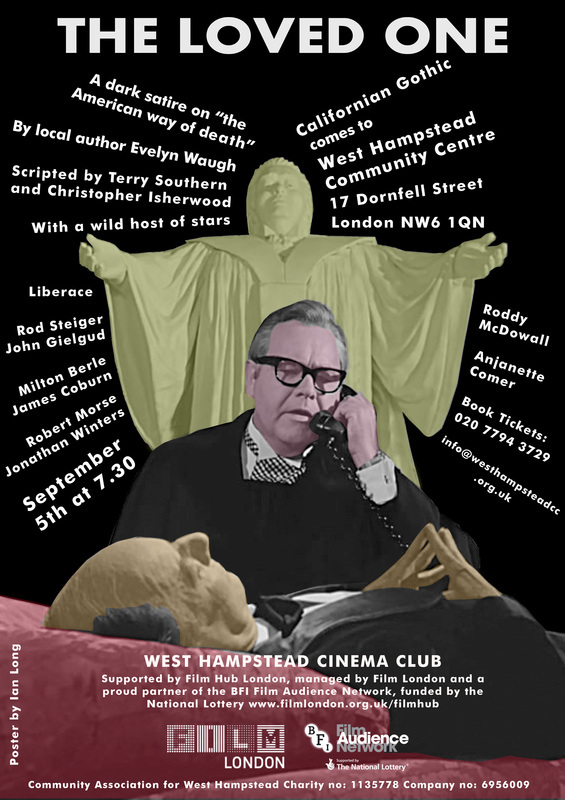 This screening was dedicated to the films of Alberto Cavalcanti. 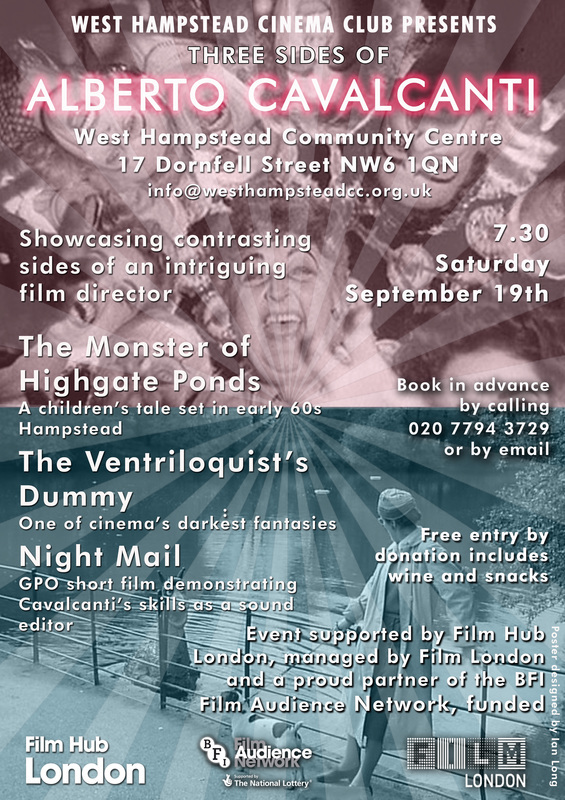 It included THE MONSTER OF HIGHGATE POND, a charming children's film shot around North London and Hampstead in the early 1960s; NIGHT MAIL, a short commissioned by the GPO with sound design by Cavalcanti, incorporating WH Auden's famous poem; and THE VENTRILOQUIST'S DUMMY, a terrifying excerpt from the horror portmanteau DEAD OF NIGHT.